When we dispatch your order for delivery you will receive a unique tracking number by email. Once in receipt of this tracking number you can check the current status of your shipment. 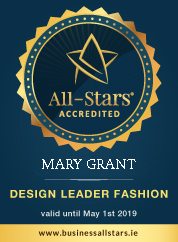 Alternatively, you can email us on customercare@marygrant.com and we will track the order on your behalf.